If you enjoy eating fish but don't want to prepare something that is time consuming, you may consider trying this recipe. The main key for this recipe is you need to dry the fish thoroughly before you cook them especially if you are using frozen fish. Give the fish enough time to thaw. Dry them with paper towels. When I pan fry fish fillets, I always like to put a thin flour coating on the fish so that they don't come apart easily during the pan-frying process. 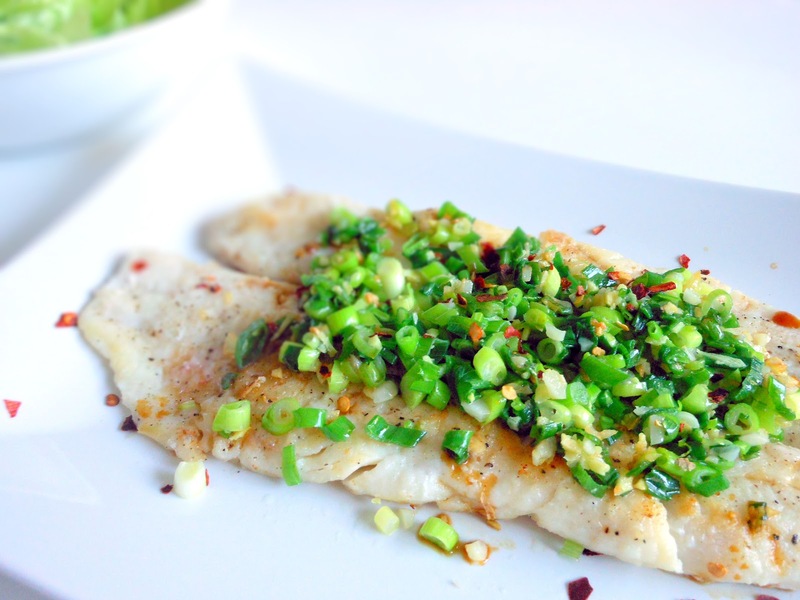 The haddock fillets should taste a little crispy when they are served. Put the rice flour, black pepper and a pinch of salt in a shallow plate and mix. Place the haddock fillets in the rice flour seasoned with salt and pepper. Heat 3 tablespoons of oil in a flat frying pan over medium heat. Put the coated fillets in the oil over medium heat and cook until both sides are golden brown. Don't flip them so frequently as they may break into pieces. Transfer them to a serving plate. Heat 1 tablespoon of oil in a small saucepan over medium high heat. Put the green onions, ginger and garlic in the saucepan and saute for 30 to 40 seconds. Remove from heat and spoon them over the fish. Sprinkle some chili flakes and drizzle soy sauce on top of the fillets.